Bread Meats Bread in downtown Windsor. 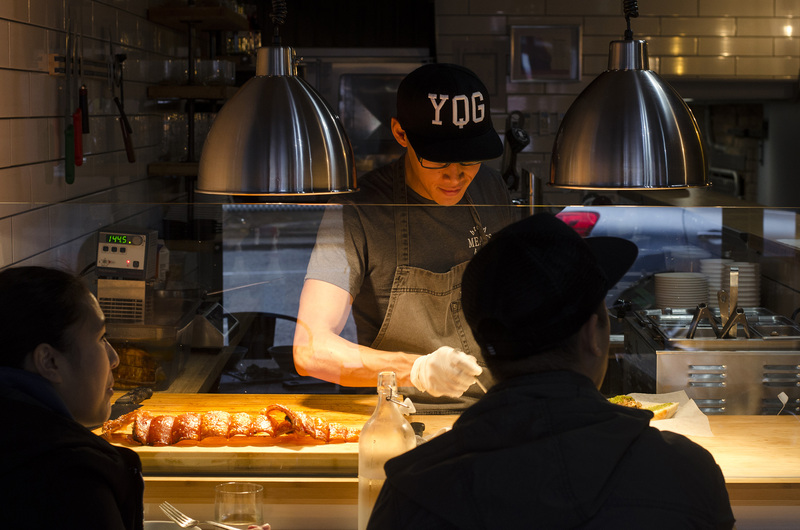 Get ready for some new, fantastic dishes from Bread Meats Bread. The downtown sandwich shop has released a fresh new menu that people, including us, are raving about. While their signature gourmet sandwiches will always be a staple, they’ve also evolved a little bit and are offering small plates that are great compliments for an evening visit. 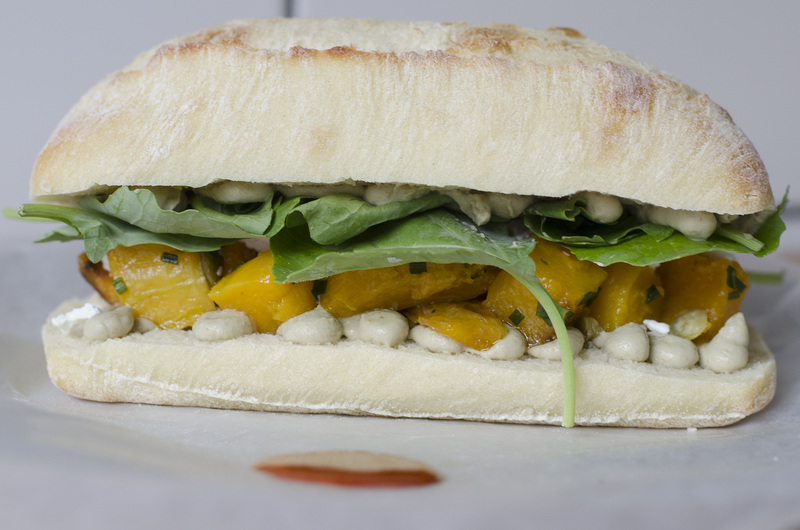 The Nutty Professor is a vegetarian sandwich that non-vegetarians will love. They’re known for their sandwiches and they’ve released a new vegetarian one that will please anyone who tried it. The Nutty Professor is stacked with butternut squash, pumpkin seed purée, pumpkin seeds and chèvre cheese. The creaminess. Oh my, the creaminess! Bread Meats Bread has brought soup back and have hit a home run with this one. 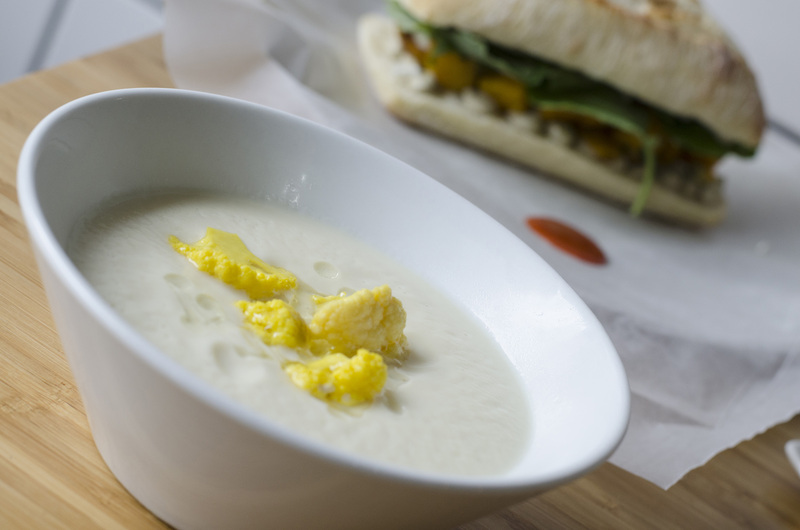 The new cauliflower soup is adorned with pickled cauliflower florets and will have your tummy singing. Cured salmon from Bread Meats Bread. A beautiful, light dish that would be a great start for a lunch or dinner. 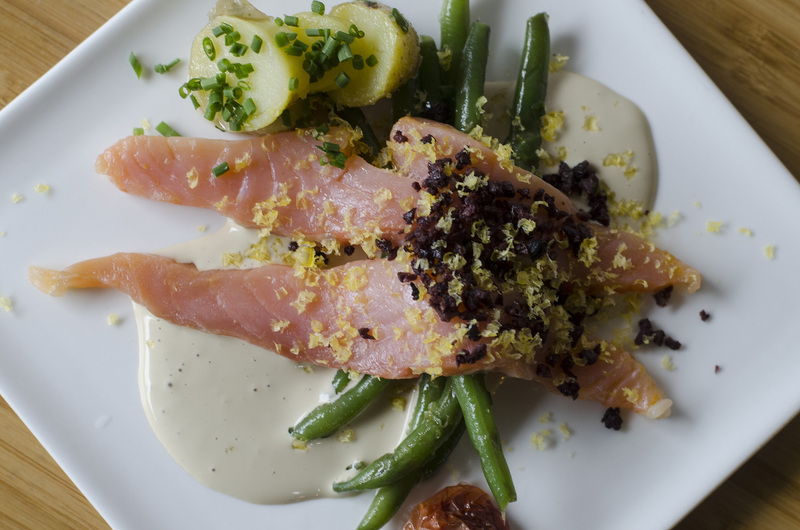 The cured salmon is served with sesame and soya dressing, French beans, dehydrated olives, cured egg yolk, cured cherry tomato and fingerling potato. Gnocchi and poutine = awesomeness. You can’t go to Bread Meats Bread and not try their gnocchi. 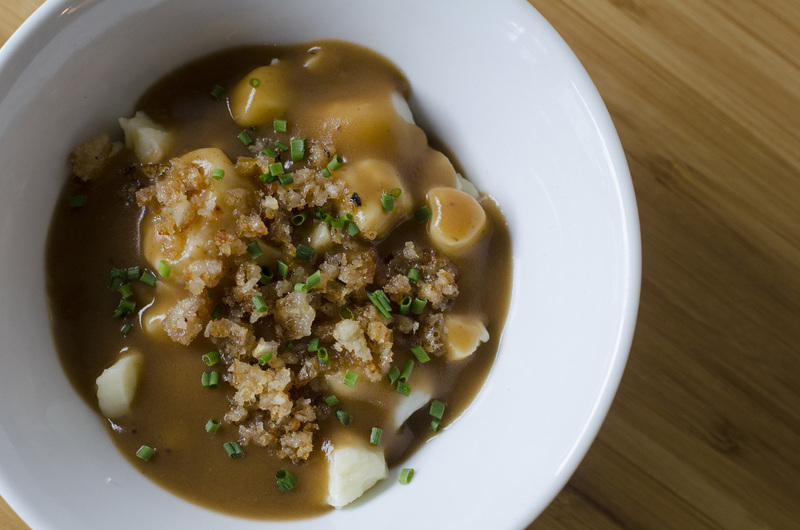 Now, imagine that pillows of love smothered in a house gravy, Quebec curds, their signature crackling. Yup!